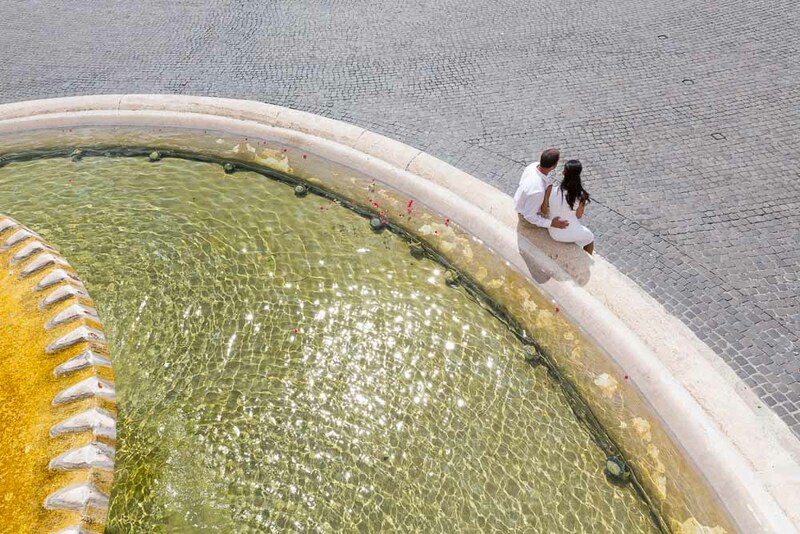 Staring from the Sofitel Villa Borghese Hotel in Rome. 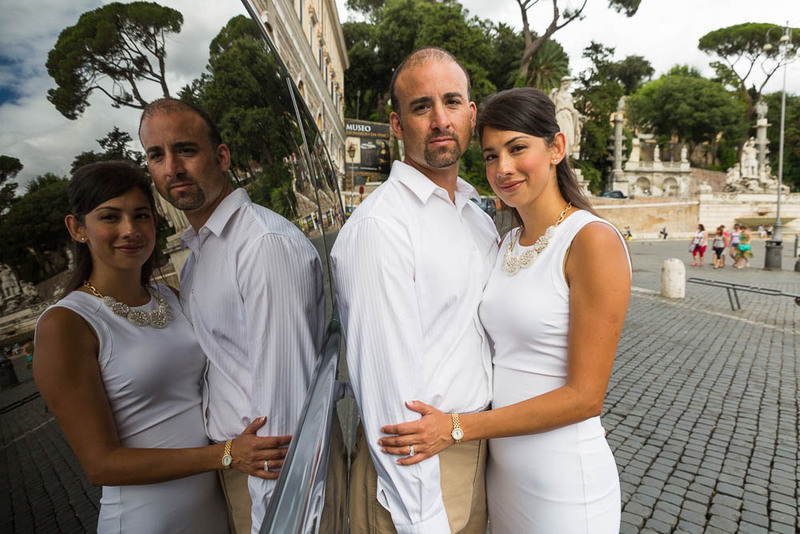 We began this anniversary engagement style session at Pincio park. A beautiful terrace view over the city found right next to the hotel. 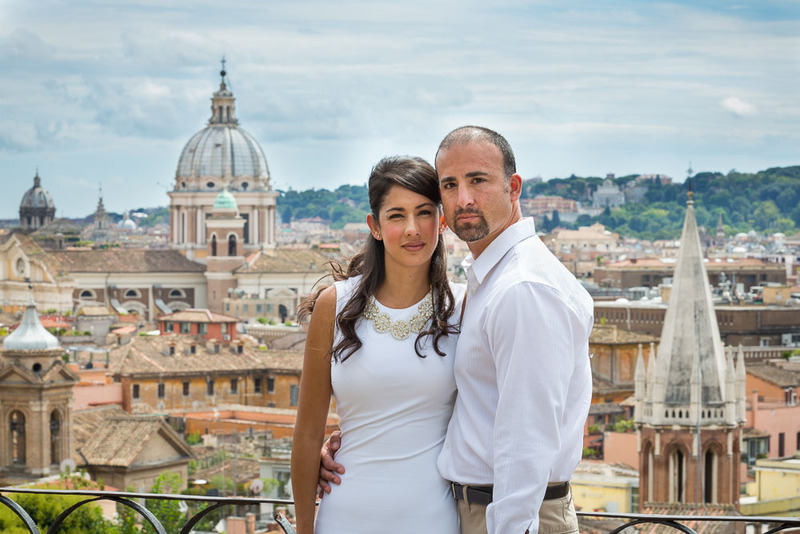 The car brought us right by the view and after a leisurely walk we reached the beautiful view over Rome. The weather was overcast and the sun reflection on a puddle caught my attention as we were walking past. I imagined it as a nice background contrast for the wedding ring picture. There are some beautiful geometries when viewing this water fountain from an above viewpoint. I love the circular shape and the brilliant colors with the sun reflection on the surface water. It conveys such a summer Mediterranean feeling recalling also the colors of the sea. I imagine that this might have been the intent of the architect that built the fountain. You can read all about it here. 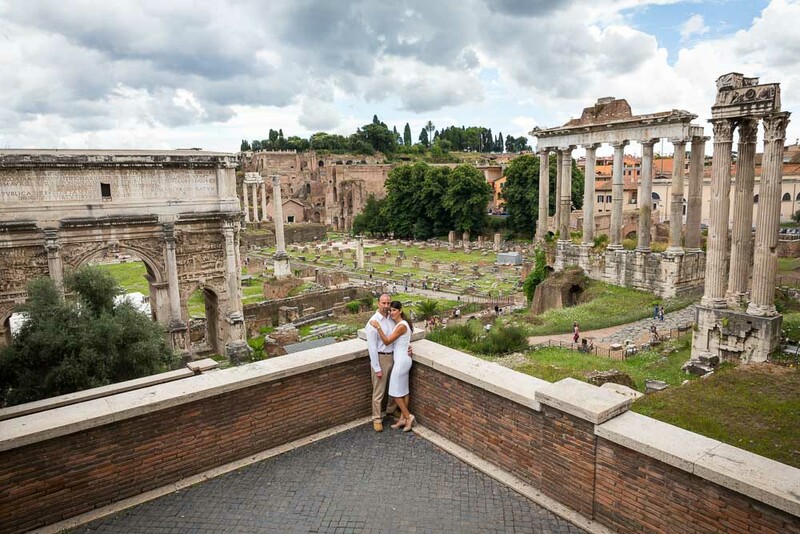 We invested a good deal of time here starting from the unique view over the Roman Forum. 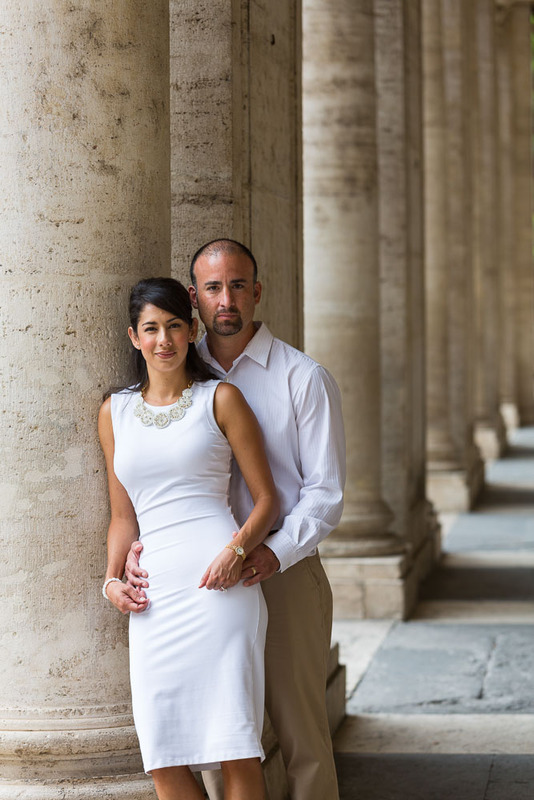 Then the photo shoot continued on the stairs found in the Piazza. And in between columns trying to filter out the best light. After one last perspective view over the Forum we jumped back in the car and headed for our next destinations. 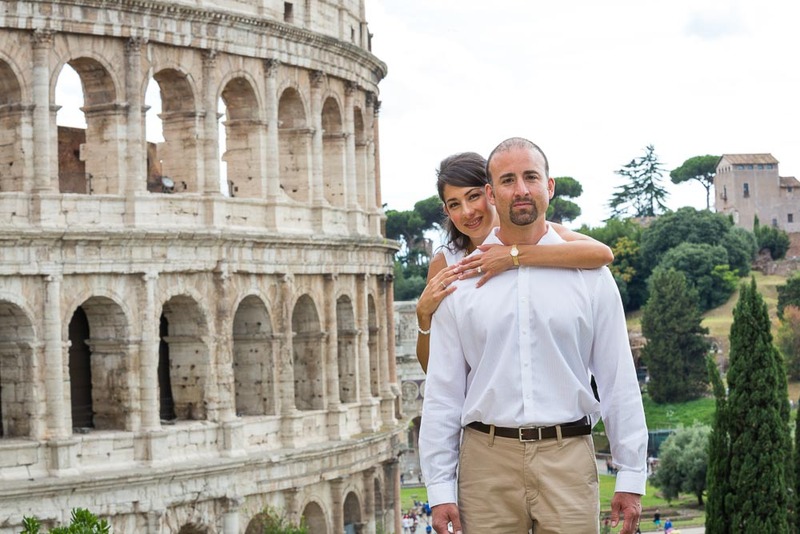 The roman Colosseum had to be included as it is such an amazing landmark. 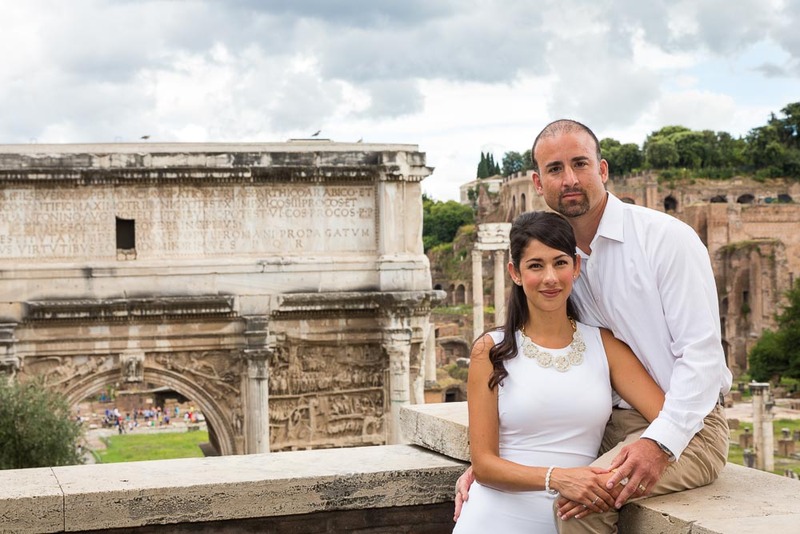 Perhaps recognized as the most iconic monument in Rome. It is really nice to be able to include it in the photos with some intimacy and away from the main crowds. 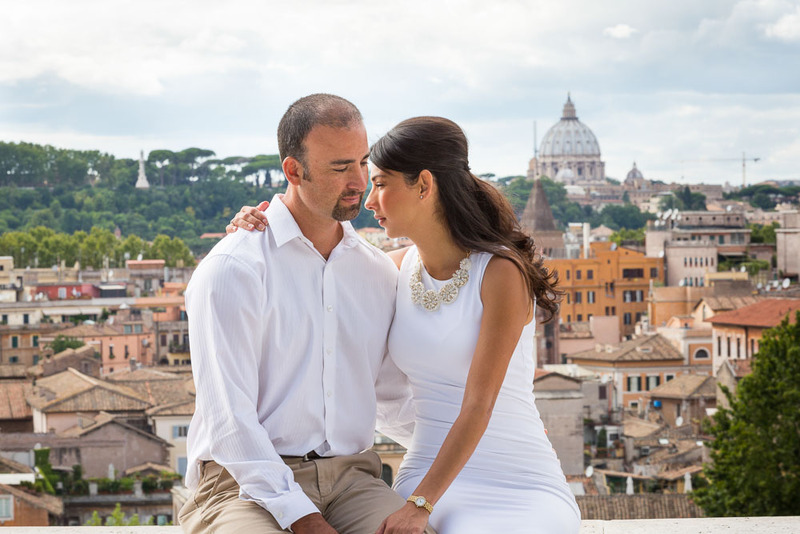 The anniversary photography session ended at Giardino degli Aranci with different pictures of the beautiful gardens as well as the spectacular terrace view over Saint Peter’s dome in the distance. 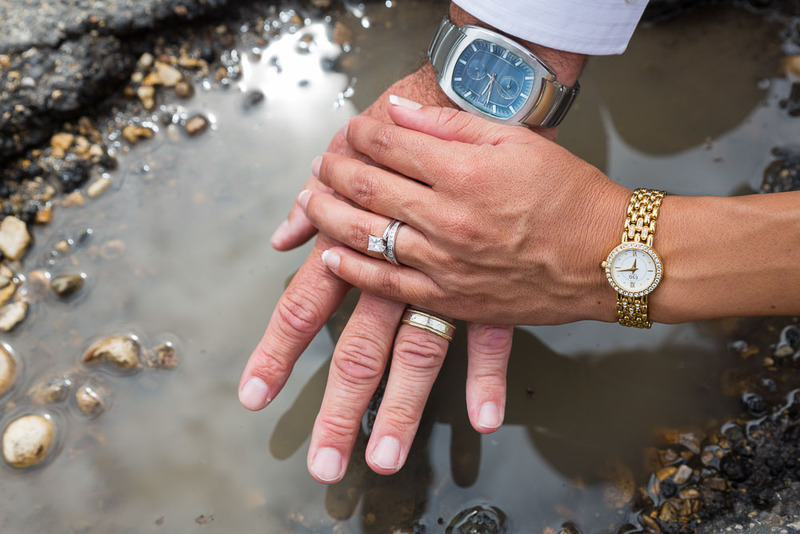 A super charming wedding anniversary celebrated with a creative photo shoot. Visiting by car the best locations and the off the beaten track places. To obtain truly unique pictures to treasure.